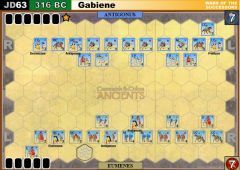 The Romans started to put pressure in the center, while the Persian managed to get rid of the two light units on the Roman right wing. An intense exchange of archery fire resulted in further casualties on both sides. 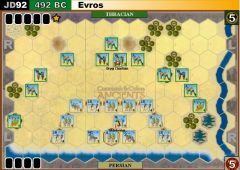 Having more archers, and thanks to very good rolls, Persians had the upper hand. At some point I had some hallucination about the number of ordered units (sorry Joe). 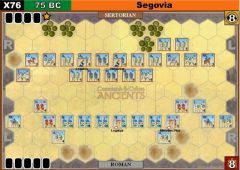 Anyway, the assault on the hill proving impervious, the Romans decided to attack on their left flank, where the Persian heavy troops stationed. Since I lacked just two medals, I became impatient and launched a couple of assaults that proved costly, also because my average hit rate was decreasing fast. At the end, however, the Persian cavalry emerged victorious. P.S. : We forgot to count the blocks lost. The number reported above are my counts. Please check. In any case I attach the log file of the game. P.P.S. : I realized the attached file is somehow corrupted. At some point some unit disappeared and we had to re-sync. That event probably damaged my log file. Anyway I attach also a "saved" end-game, with all the units as they were at the end of the game, in case a recount of losses becomes necessary. Sorry for the troubles. Last edit: 2 years 4 months ago by g1ul10. The Parthian cataphracts, undoubtedly realizing both the advantage they had with their immense armor and the poor initial disposition of the Roman army, aggressively sought out the Roman infantry guarding the baggage train. Due to solid cards and steady dice, the cataphracts were able to inflict damage, and evade away successfully. Nary an arrow was fired by the Parthians, who did all of their damage in melee. The Romans fought bravely to the end, but were unable to exit any wagons off the battlefield. 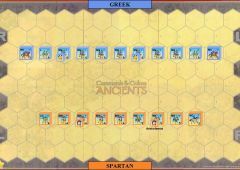 The almost all-cavalry force of the Parthians struggled to move their army around due to the initial draw of three line command cards, but the bad-luck dice of the Romans more than made up for the Parthian misfortune. 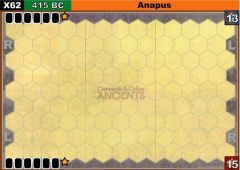 Time and time again the Roman commander put his units in advantageous positions, only to have the gods favor the Parthians. The cataphracts were the difference, exacting a huge toll in Roman blood for every block they lost. Mark, I don't see my game with Todd in your statistics. Maybe you missed it? If you go back a few posts you will find my report. 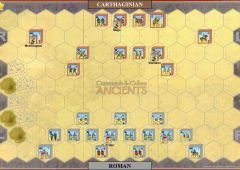 The Romans started the battle by moving all of their infantry forward to start pinning the Parthian cavalry. The early stages of the battle were quite favorable for Rome and it looked like the Parthians might actually get routed at one point as the banner count was 4-1 in favor of Rome and they were pressing the Parthians hard. A mounted charge however by the Parthians really swung the momentum in the opposite direction. 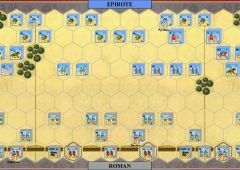 By the time all the dust settled a few turns, later the Parthians had been able to break through on the Roman left with a leader attached to a CC who was able to finish off two 1 block A units for the win. Very close game. 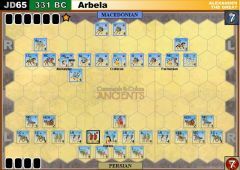 The battle opened with the Romans advancing on the Persian middle. 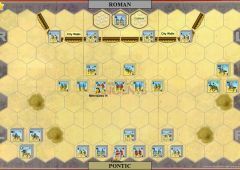 The Persians range fire was effective and was able to weaken a number of the Roman units as they closed for combat. 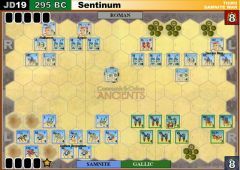 The Roman cavalry ended up getting caught in some tough spots and the Persians were able to eliminate all of them and then finish off a few of the weakened infantry units. 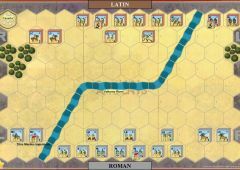 The terrain is extremely challenging for the Romans as the Persians are perched on the hills with plenty of range units. A very hard fought battle with plenty of little twists and turns. 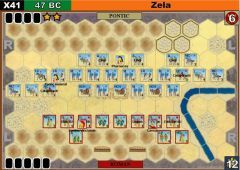 Mark and I agreed that the cards I was drawing (the Mounted Charge and the Clash of Shields) at just the right moments made it difficult for the Parthians to withstand Roman attacks. Last edit: 2 years 3 months ago by stormwalker.